You may have read recent media reports about a dispute between a doctor and his patient’s son in which the doctor sued the patient’s son for, among other things, referring to the doctor as “a real tool.” Frustrated by the care that his father received from the doctor at St. Luke’s Hospital in Duluth, Dennis Laurion posted online that “[w]hen I mentioned Dr. McKee’s name to a friend who is a nurse, she said, ‘Dr. McKee is a real tool.’” Upset by this and other negative comments posted by Laurion, Dr. McKee sued him for defamation. The case was eventually appealed to the Minnesota Supreme Court, where the high court unanimously held that “[r]eferring to someone as ‘a real tool’ falls into the category of pure opinion because the term ‘real tool’ cannot be reasonably interpreted as stating a fact and it cannot be proven true or false.” Under Minnesota law, a statement of opinion cannot be the basis of a claim of defamation, so Dr. McKee’s lawsuit against Laurion failed. This result is definitely a victory for free speech rights under the First Amendment, and will undoubtedly be cited by those defending against future defamation claims. Nevertheless, I will continue to caution employer clients to be careful when making any negative statements about a current or former employee. It’s important to remember, first of all, that Laurion’s case arose outside the employer-employee relationship. We don’t know if, or how, the court might have viewed the facts differently if the defendant had been an employer and the plaintiff had been an employee. My advice to employers is to stick to the facts. 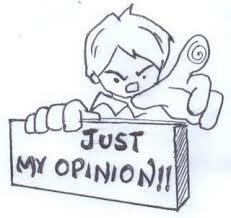 Leave your opinion out of it. The facts can generally be proven true and are often less inflammatory than a generalization or characterization, which is a good thing when you’re trying to avoid getting sued. For example, if you’re disciplining an employee for tardiness and attendance issues, don’t refer to the individual as “lazy” or “a malingerer” - not even in a private email to a fellow manager or HR. Remember, those private emails are discoverable in a lawsuit. It is much better to reference the actual absences or tardiness and state the need to change the behavior. Anytime to you try to slap a label on the performance or behavioral issue, I believe you increase the odds that you might find yourself or your company defending a defamation suit. Although Laurion was ultimately victorious in this case and was vindicated in his right to refer to Dr. McKee as a “real tool,” that victory did not come without paying the price of two years of costly litigation.